When you teach yourself how to apply makeup, you’re bound to go through some phases where things look a little… less than professional. 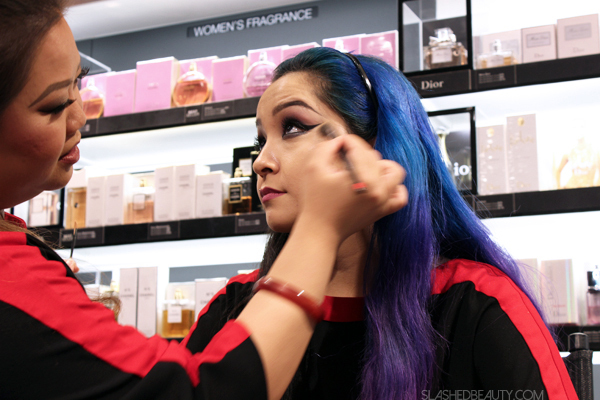 I know I’ve been there, and some tricks still take me a while to master, which is why I’m pretty ecstatic that Sephora is launching their in-store beauty classes. 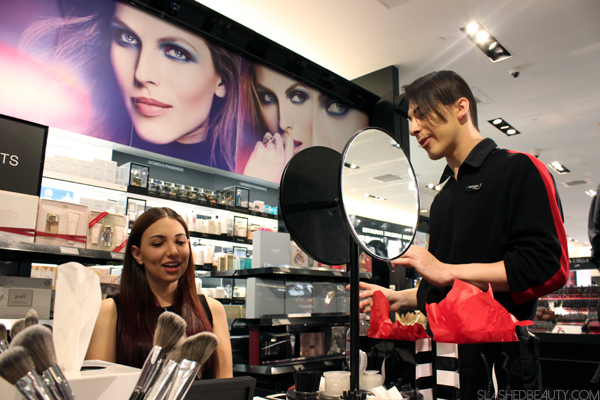 Free for Beauty Insiders (anyone can join), Sephora classes covering makeup basics, popular trends, and even skincare will be offered in select stores across the country. You’ll be able to learn tricks from the store’s experts while testing out some of the hottest products. Last week, I attended the class on contouring & highlighting at the Americana store in Glendale. Set up in the large fragrance section of the store, there were about twelve attendees total. The atmosphere was intimate and relaxed, and we started off the class with an ice breaker game. We all introduced ourselves and had to name our beauty icon; I chose Katy Perry, of course, since she can pull off the boldest of trends and no-makeup makeup looks. Then, we delved into the learning! First, we got to sit back and take notes as Tiana, a personal beauty advisor, lead the class. She started by showing us how to apply concealer on another associate, teaching us about the “triangle of light.” She continued to highlight the high planes of the model’s face, then moved on to bronzing. Tiana showed us where to start and stop applying bronzer on the face to contour the cheeks (start at the tragus of your ear, end two fingers out from your nose), as well as other areas depending on our face shape. Finally, she demonstrated placing blush between the highlight and contour, starting at the hairline and blending forward to diffuse the color. Soon enough, it was time to practice the techniques on ourselves! 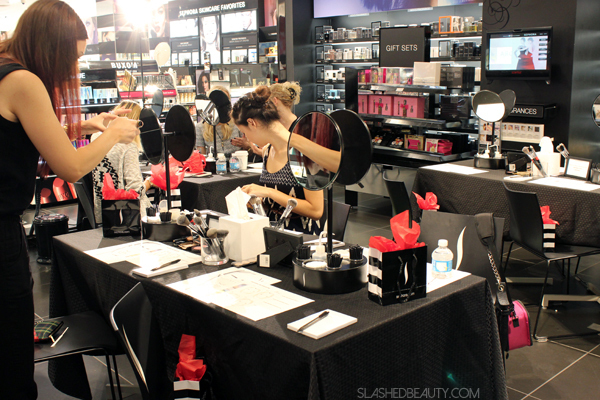 We had an array of products laid out for us at our tables along with Sephora’s best-selling brushes. We could play around with those, or request any other testers in the store to use. Beauty Advisors moved from table to table to help you master your application, and answer any questions about the class or products. The team and other classmates were really encouraging of one another, and everyone left learning something new! If you don’t have time for a full class, you can pop into any store for a free 15 minute makeover to focus on one technique. I had a ton of fun at the class, and it would be a great thing to do with friends! Which class do you think you could learn the most from? So wish I could go to one of those classes!!! Sounds like a pretty cool idea for consumers and faithful shoppers. I would love to attend one of those! I think this is a really awesome idea and way overdue! How fun! I hope to go to one of those classes one day. This is a really fun idea, I want to go! This would be so much fun to do with a girlfriend or two! 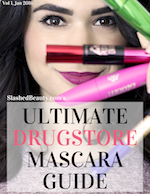 This sounds fun, I’m going to check and see if my Sephora offers this! I had no idea Sephora did this, but basically I need to go to all of them. I’ll be getting perfect attendance ASAP! Have fun! Mine was a blast! Oooh I need all these classes, starting with the Smoky Eye ones! The closest Sephora is over 2 hours away. Darnit! I so need to go to make up classes! That looks so fun and useful! Makeup classes sound like so much fun. I’d love to take some. This looked like so much fun. I knew Sephora had these classes but didnt know they were on great topics. I thought it was just showing how to apply makeup that they choose. Looks super cool. I need to check out. Yeah they had a soft launch about a year ago with a few classes here and there, but now they’re really bringing the best to the public! 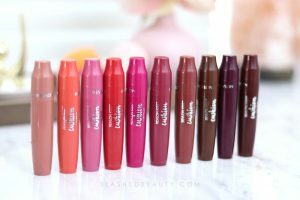 I had no idea Sephora did this! I would definitely attend a highlighting and contouring class!